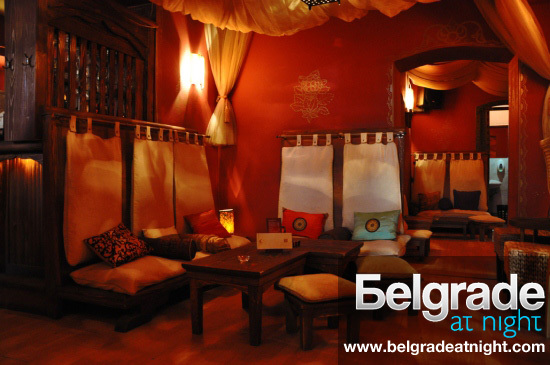 Kandahar coffee bar is unusual and interesting place that offers experience different than in most other coffee bars and brings the atmosphere of the far Orient to Belgrade. Beautiful interior is characterized by unorthodox private boxes, in which one may be sitting on low-lying divans and enjoying the sounds of oriental music. The main feature of Kandahar is, most certainly, the wide selection of teas that are genuine and different, with many aromas and other seductive traits, either their tastes or the ways they are being served. For all those who love tobacco, there are hookahs (water pipes, or hookah), with various smells of tobacco. Turkish “Yeni Raki”, that tastes completely different than all the other fruit brandies, now it is time to enjoy it.